The Permanent Press, 9781579622725, 256pp. Based in sunny Rancho Bonita - "California's Monaca" as the city's moneyed minions like to call it - Cordell Logan is a literate, sardonic flight instructor and aspiring Buddhist with dwindling savings and a shadowy past. When his beautiful ex-wife, Savannah, shows up out of the blue to tell him that her husband has been murdered in Los Angeles, Logan is quietly pleased. Savannah's late husband, after all, is Arlo Echevarria, the man she left Logan for. Logan and Echevarria were once comrades-in-arms assigned to a top-secret military assassination team known as "Alpha." The only problem is, the LAPD can find no record of Echevarria ever having toiled for Uncle Sam. Savannah wants Logan to tell the police what he knows. At first he refuses, but then, relying on his small, aging airplane, the "Ruptured Duck," and the skills he honed working for Alpha, Logan doggedly hunts Echevarria's killer. 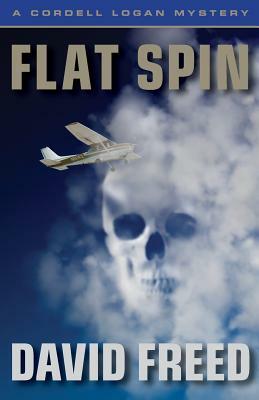 Transcending the worlds of murder, aviation and international counter-terrorism, FLAT SPIN resonates with a veracity that only an author who knows his subject first-hand can deliver.